Welcome to LeaderVision, where we give leaders a vision for their hearts so they can make a difference for God with their heads and their hands. My name is Bill Lawrence and I'm president of Leader Formation International and I want to share a principle with you that over 50 years of ministry and pastoring and being a seminary professor and in being a mentor around the world and also working extensively with business people…there's a principle that I've discovered that is critical for every leader to understand. You see the heart of the leader is the heart of the matter. Whatever goes on in a leader's heart is going to come out through that leader's thinking, through that leader's communication, through that leader's planning and through that leader's hands. And what we want to do at LeaderVision is help you to understand what God is doing to form your heart, thus to transform your leadership. One of the realities we've learned is this: Skills are essential, but not sufficient. Every leader has to have skills, what good is a leader who doesn't know how to lead. But even in learning in how to lead there's something more foundational, more basic, more critical and that is understanding our hearts. Our target in serving you is to help you grasp what God is doing to transform you so through your heart you can make a great difference for Him. 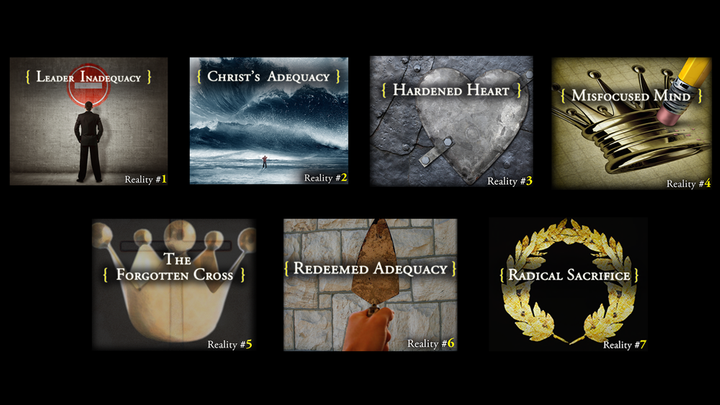 To do this, we want to look at the Seven Realities of the Altared Heart. You see, when a leader's heart is on God's altar, that leader is altered. But there are factors that we have to face about ourselves in order to truly put our hearts on the altar of God. So come often and visit us at LeaderVision where we want to give you a vision for your heart so you can make a difference through your head and your hands for the glory of God.